KUALA LUMPUR, Malaysia (AP) — Malaysian Finance Minister Lim Guan Eng said Tuesday the government plans to introduce new tax measures to help raise funds to pay off national debt that has snowballed due to corruption under the previous government. Lim said it will take the government three years to resolve its fiscal woes due to more than 1 trillion ringgit ($240.5 billion) in debt and another 35 billion ringgit ($8.4 billion) in newly discovered unpaid tax refunds that were not disclosed by the previous government. “Fiscal consolidation will not be achieved easily, and we must be willing to expect some pain and even offer some sacrifice. We would need 3 years to resolve the fiscal issues,” Lim told an economic forum. He didn’t give details of the tax measures but said these will be announced in the 2019 federal budget that will be unveiled Nov.2. Anger over massive corruption at the 1MDB state investment fund prompted Mahathir — who led Malaysia for 22 years until 2003 — to make a political comeback and turn on his former party. 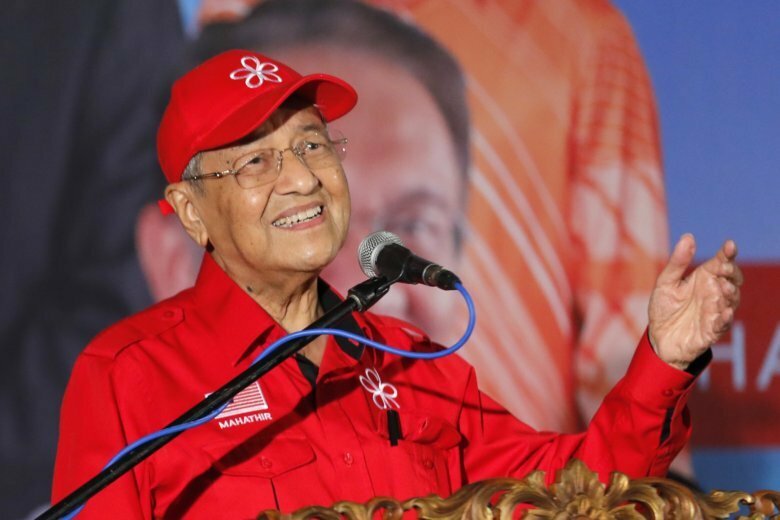 Mahathir’s alliance won a stunning victory in May 9 elections to oust scandal-tainted former Prime Minister Najib Razak, ushering in the country’s first change of power since independence from Britain in 1957. The country’s huge debt is partly due to losses from the 1MDB fund set up by Najib that led voters to abandon him, and sparked investigations in the U.S. and several other countries. U.S. investigators say Najib’s associates stole and laundered at least $4.5 billion from the fund. Najib and his wife Rosmah have been charged with multiple counts of corruption and money laundering linked to 1MDB, after Mahathir reopened investigations into the fund that were suppressed during Najib’s rule. The couple have both pled not guilty and Najib has accused the government of seeking political vengeance against his family. The new government has reviewed large infrastructure projects, including Chinese investment, to cut costs. It also is seeking ways to bolster revenues to pay off debts and plug deficits expected after it scrapped an unpopular goods and services tax. Lim said the government may sell its equity in state-owned companies to raise funds but will aim to strike a balance between fiscal consolidation and ensuring productive spending and investment. “While it is imperative for the government to be prudent with our expenditure, we are equally cognizant that we must not fall into the austerity trap. What we want is merely to get a bigger bang for the buck,” Lim said at the forum.